The traditional wedding themes make you yawn. You want an electrifying party, not just a wedding reception. You want your guests to have a unique and memorable experience. If you agree with any of these, the Hollywood Wedding Theme is perfect for you! What’s even more fun is you can take a few different spins off this theme. There are 3 in particular. Choose one or do a little of all three. There is so much personality and charisma to this theme! Do you prefer the old fashioned style of Hollywood? This style is timeless and classic. This style allows you to have a gorgeous and meaningful wedding theme all in one. Take your guests back in time and give them an experience they will be talking about long after your wedding is over! Your guests will be delighted to see glam and glitz galore! This is your chance to get in touch with your high fashionista self. You can go all out with this theme or if things are tight, you don’t have to have a large budget hanks to glitter and sequins. Please check our Pinterest Hollywood Wedding Theme board for several DIY glitter ideas. This style of Hollywood theme will be sure to make for a fun wedding! Your guests of all ages will be thrilled to see all of the fun decorations and treats. And the best part? This style can be fairly easy to do on a tight budget. Use lots of red and black colors (i.e. tablecloths, napkins, chair wraps) to set the tone. Scatter popcorn bags and DIY clapperboards around and your guests will easily see the Hollywood party theme. Be prepared to have a wedding that you and your guests will never forget! 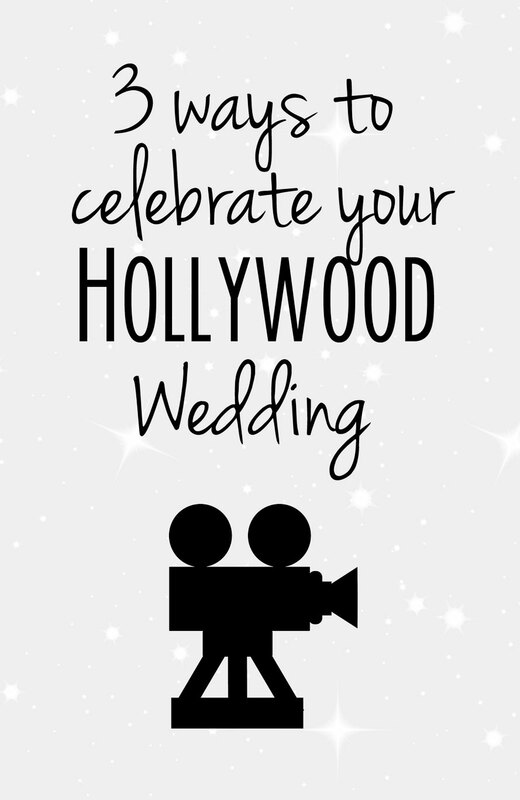 Let your guests know about your Hollywood theme wedding when sending out invitations. Some of them will love arriving dressed for the part! 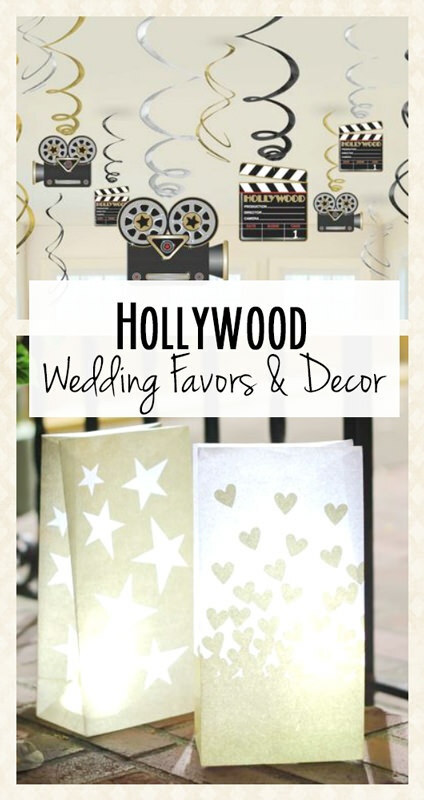 Follow Wedding Favors by Theme's board Hollywood Wedding Theme on Pinterest.